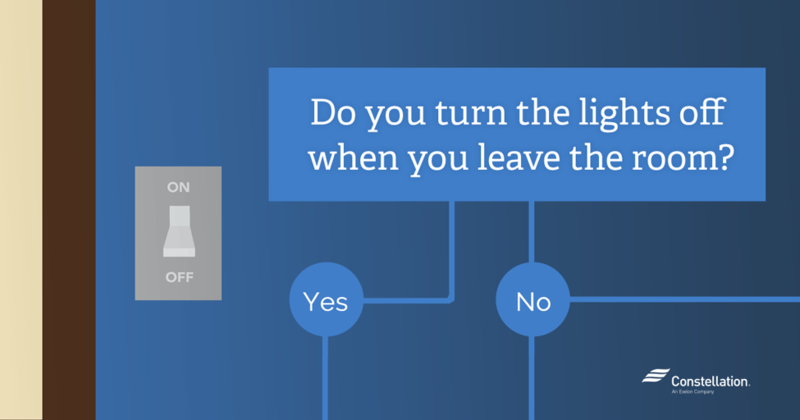 Do you turn the lights off when you leave the room? You can tell which of your neighbors are into lighting savings and which aren’t just by driving past their home or apartment. If the lights are blazing in every room, you know that concerns about the energy used by a light left on is probably not one of their top worries. Do you waste more electricity by turning lights on and off? While turning off lights saves energy generally, the answer about whether you waste more electricity by turning lights on and off is that it depends. Sometimes it can actually be cheaper to leave a light on rather than turn it off. It all depends, Energy.gov says, on the light bulb. Incandescent lights — assuming you still have any of these — are the easiest. If you’re not using them, turn them off. They’re the least efficient light and 90% of the energy they use is heat. 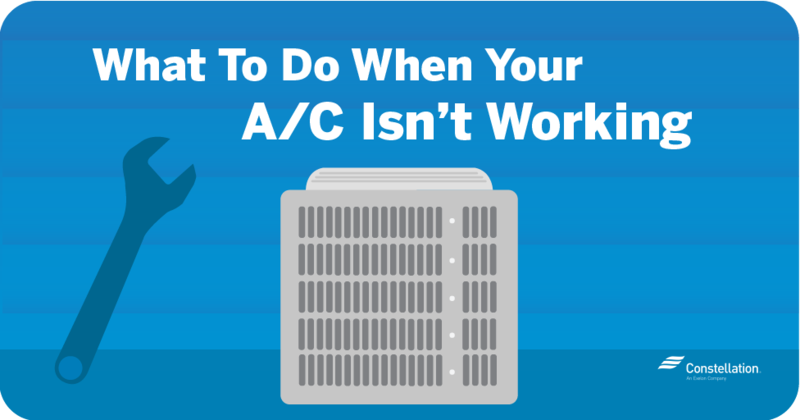 Turning them off will also help cool a room in summer, which could potentially affect other energy costs as well, such as air conditioning. Halogen lights should also be turned off when not in use. They use the same technology as incandescent lighting and are less efficient than CFL or LED bulbs. Lighting savings get a little trickier with CFL or LED lights. Energy.gov offers this general rule of thumb for deciding if turning off CFL lights saves energy: Leave them on if you will return to a room within 15 minutes; if you’re going to be gone for more than 15 minutes, turn them off. Energy.gov says that this strategy can also help extend the life of a CFL bulb because its operating life is more affected by the number of times it’s switched on and off. LED, or light emitting diode, bulbs are not affected at all by being turned on and off. This characteristic makes LED bulbs a top energy savings lighting choice. They’re a great option, Energy.gov says, when used with sensors that rely on on-off operation. They also turn on at full brightness almost instantly. If you want to do more calculations yourself on the energy used by a light left on, Energy.gov offers a formula for determining how turning off lights saves energy. While the answer will vary with the bulb, the cost of the energy of a light left on, especially, is fairly low no matter what bulb you’re using. Energy.gov says that today’s more energy-efficient bulbs typically use 25-80% less energy than traditional incandescent bulbs and that they last 3-25 times longer. An example: a 60-watt traditional incandescent bulb with a bulb life of 1000 hours will have an annual energy cost of $4.80 compared to 60-watt LED bulb with an $1.00 annual energy cost and a 25,000-hour bulb life. In a previous post we broke down the many benefits of CFL vs. LED bulbs, including the lighting savings you can find by using these bulbs and how much it costs to run these bulbs at various wattages. Use timers to turn lights off when not in use. Use daylight to your advantage. Keep curtains and shades open to provide light instead of turning on lights. Decorating with lighter colors that reflect daylight can help as well. Don’t forget outdoor lighting. Motion-detector floodlights can ensure lights only come on when you need them. 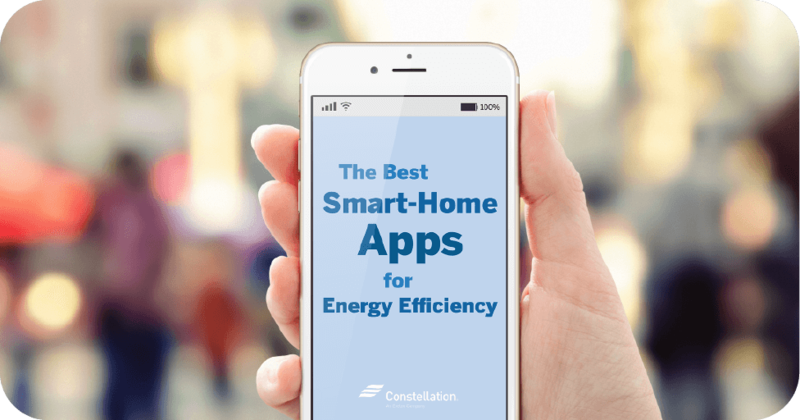 You’ve learned all about energy savings lighting. 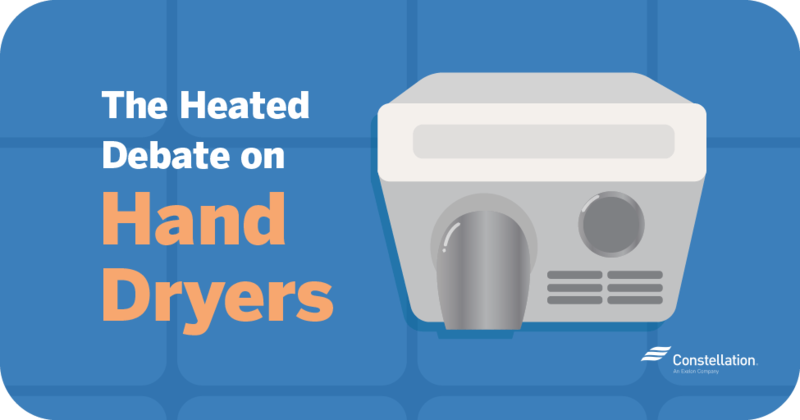 Get the details on saving energy on showers, thermostats and laundry too. For more fun Energy Hacks lighting tips, check out our video. It’s fabulous that saving electricity saves a lot of money. I work at a new facility that has LED bulb lighting in the hallways controlled on and off electronically. In the same hallways their are LED bulbs that burn 24/7. In the past year I have replaced 300 LED bulbs that are turned on and off motion electronically. In the same hallways I have only replaced 3 bulbs that burn 24/7. Can you explain this? Hi Gary, Depending on how many times the light bulbs were turned on/off may have contributed to their lesser life. The energy it takes to turn a lightbulb on frequently may sometimes take more energy than if you just keep the light on! This may be the reason for your situation. However, turning light bulbs off that you won’t need to turn back on swiftly after — that’s energy conservation! The content that has been written is exceptional in quality and 100% errorfree. I loved reading it and found it quite informational as well. Hi Frank, thanks so much for your kind words!